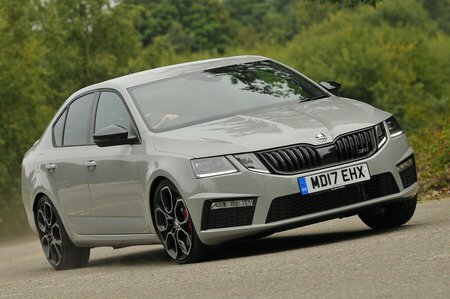 Skoda Octavia vRS Performance, Engine, Ride, Handling | What Car? 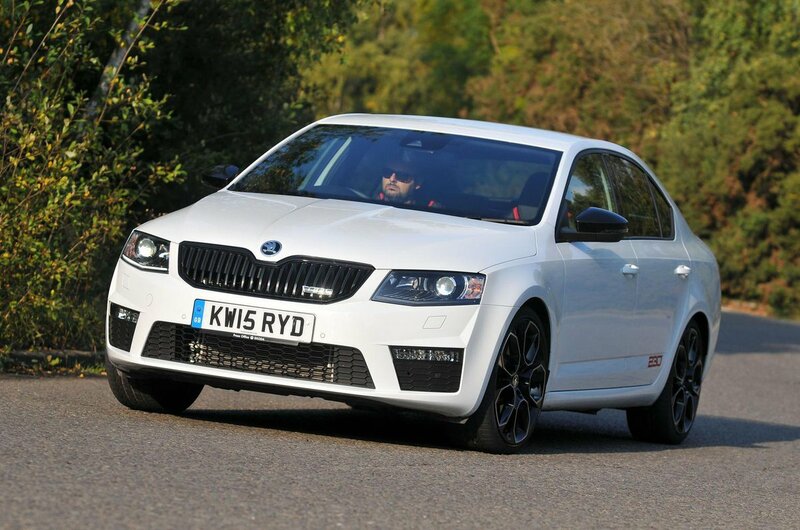 There’s quite a bit of choice when it comes to the vRS. You can choose either hatch or estate bodystyles, but also either a 227bhp turbocharged 2.0-litre petrol or a faster 242bhp version. If you’re after all-weather reliability, then there’s a 181bhp 2.0-litre diesel version too, with either front or all-wheel drive. Skoda’s 2.0 TDI engine offers the sort of low-down shove that makes driving across hilly, twisty country roads extremely easy work. It doesn't mind pulling across a wide band towards its limiter either, although ultimately a petrol vRS is the quicker car both on paper and on the road when pushed hard. The 242bhp petrol version is quicker again and the quickest of the range. The diesel suffers more vibration at low revs, too, but its engine settles well at a cruise; thanks to a sound symposer it also sounds relatively good from inside the cabin. Even so, the petrol engines are smoother and quieter. 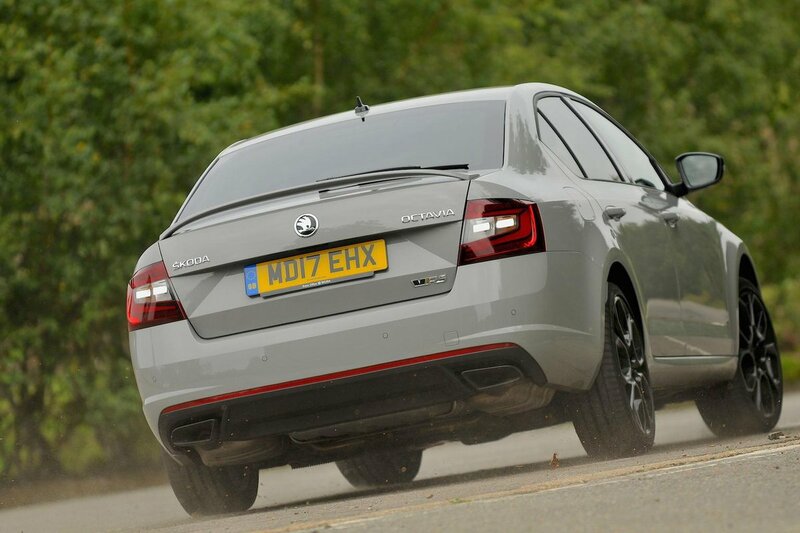 Compared with its front-wheel drive automatic equivalent, an all-wheel drive vRS is slightly heavier, but its extra traction means it's quicker in a sprint from a standstill to 60mph. That said, it’s still slower than the petrols. Unless you are desperate for some extra grip in snowy weather, the all-wheel drive model isn’t worth the extra over the front-drive version. The car generally disguises its weight well in terms of handling because it's every bit as keen to turn in to bends and its steering is precise. Okay, the vRS rolls more in tight bends than the best hot hatches - such as the Honda Civic Type R - but it's not off-putting. The 242bhp petrol gets an electronically controlled differential on its front axle. This means that it’s much better at exiting corners at speed because it can send extra torque to the wheel that needs it most. It makes a big difference to the car and generally makes it feel more agile and capable: it’s the best car to drive in the lineup, but you only notice when it’s pushed hard. Both automatic and manual gearboxes are available – DSG and six-speed respectively. The automatic does well to keep progress smooth when cruising and punchy when accelerating, while the manual is typically slick and precise as you’d expect from a VW Group car, and there’s previous little difference in fuel economy and performance between them. All vRS models get more advanced rear suspension than cheaper Octavias, too, with a 12mm lower set-up than standard. It all helps the car feel more settled over sharp ruts and potholes while also feeling more tied down over undulating roads than cheaper models in the range. The estate version sacrifices some dynamic ability for the extra practicality it gives, but it is still a desirable and fun fast wagon. The increase in size doesn’t improve ride comfort though, so on rough roads it still feels very brittle in Sport mode, but thanks to the adaptive dampers Comfort is more forgiving. It's firm, and you're always aware of our broken roads passing beneath you, but it never becomes uncomfortable.